Contact the shelter, in order to adopt a pet. 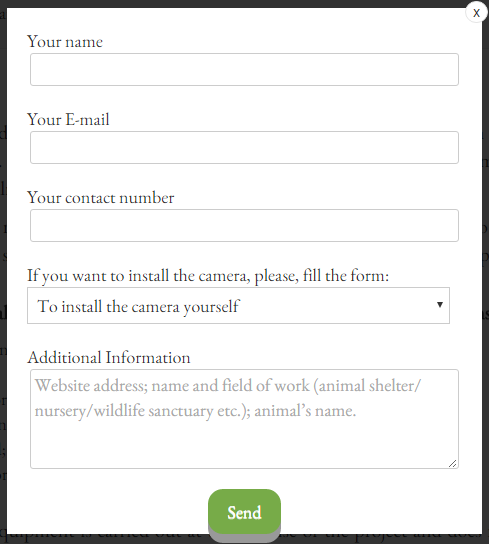 One of the most notable updates concerns owners of animal shelters and sanctuaries: any shelter, sanctuary or organization can now easily contact the administration of the project, in order to set up a live stream webcam wherever they need and broadcast it on Animals Life NET and the website of that shelter, sanctuary or organization. So don’t wait up! Help the animal shelters from several countries and help us reach more shelters! Share the information on social networks!